VOA-MN's Amicus services has re-introduced a much-loved and effective re-entry program called Men of Rafiki. 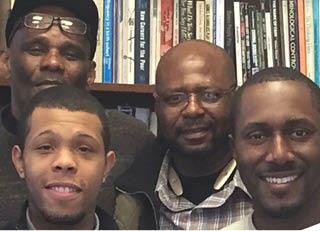 Men of Rafiki is a culturally specific re-entry initiative that Amicus ran from 1997 through 2009 and re-introduced with support from the MN Department of Corrections in 2015. “Rafiki" is Swahili for "friend." The program combines a proven curriculum designed to help people transition from prison to community with activities and readings which celebrate African American culture and identity. The program serves up to 90 men in three Minnesota State Correctional Facilities each year and continue providing support to them as they leave incarceration and build a new life on the outside. Amicus will support those being released to the seven-county metro area and is partnering with Damascus Way to work with men released to the Rochester, MN area. Men of Rafiki actively reaches out to African American community leaders to help guide its development and provide positive contacts for its participants.